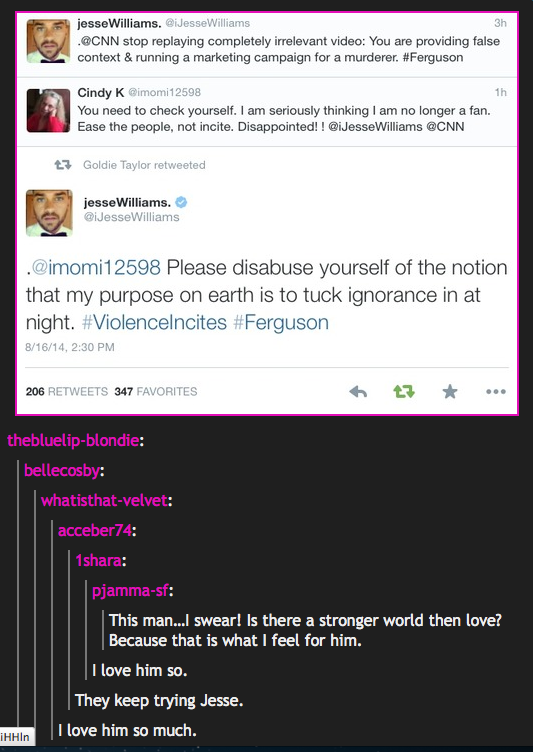 I swear I'm falling in love with Jesse Williams. He has become one of my favorite actors based on the stances he bravely takes against injustice and the impeccable intelligence he displays in smacking down ignorance. Please disabuse yourself of the notion that my purpose on earth is to tuck ignorance in at night. That's why he gets my TWEET OF THE DAY!!!! Love him!